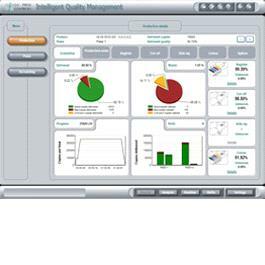 IQM (Intelligent Quality Management) is a management information system that illustrates the quality of the printed matter produced by analysing and clearly setting out the measurement data from our closed loop systems. The IQM uses the desirable quality tolerances that are set beforehand for yourself or your client. If these values are exceeded, then details of the consequences will be given in the IQM. You can discuss the generated reports with your clients or use them to improve the production process.